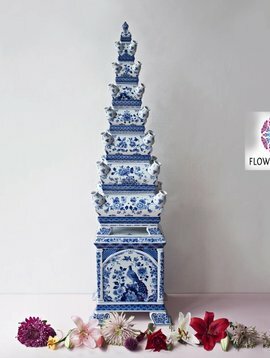 Super chic! 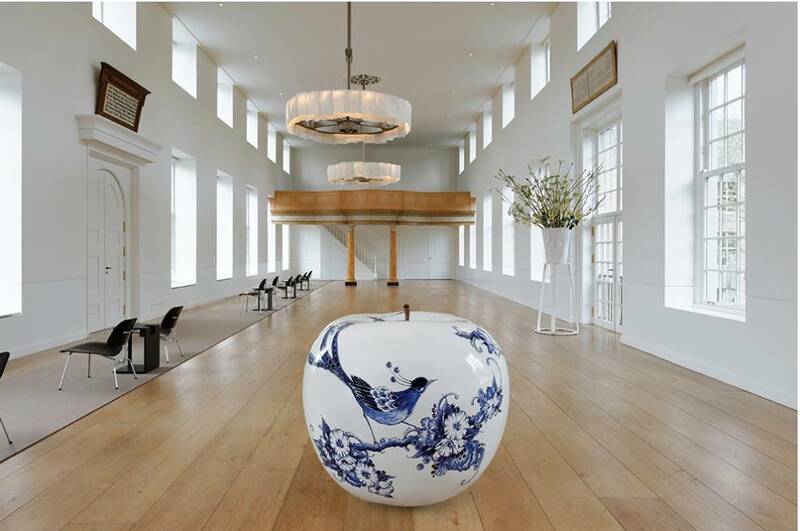 Design apple with blossom pattern in Delft blue. 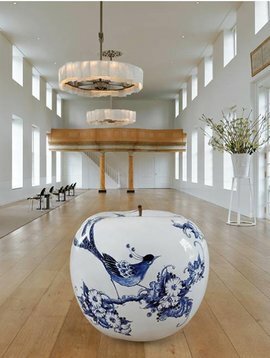 Apple sculpture or apple figurine of 35 cm. 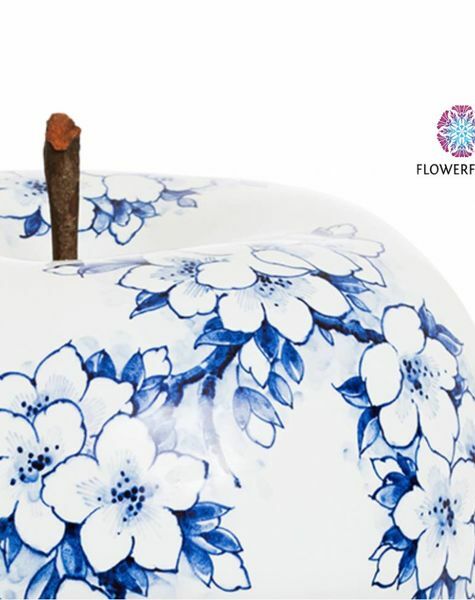 The apple stalk is made of real wood. 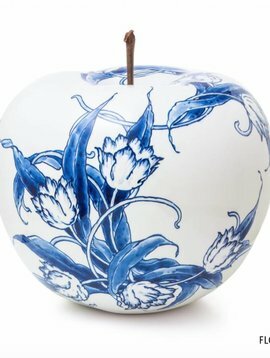 These decoration apples are completely handmade and hand painted by one of the best master painters. 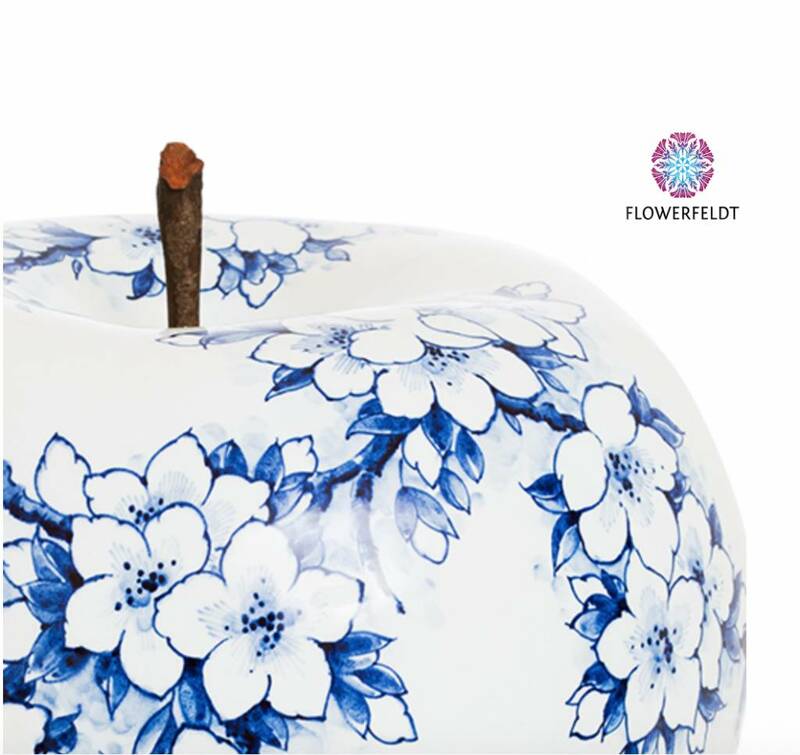 Stunning apple figurines with blossom pattern. Including certificate of authenticity. 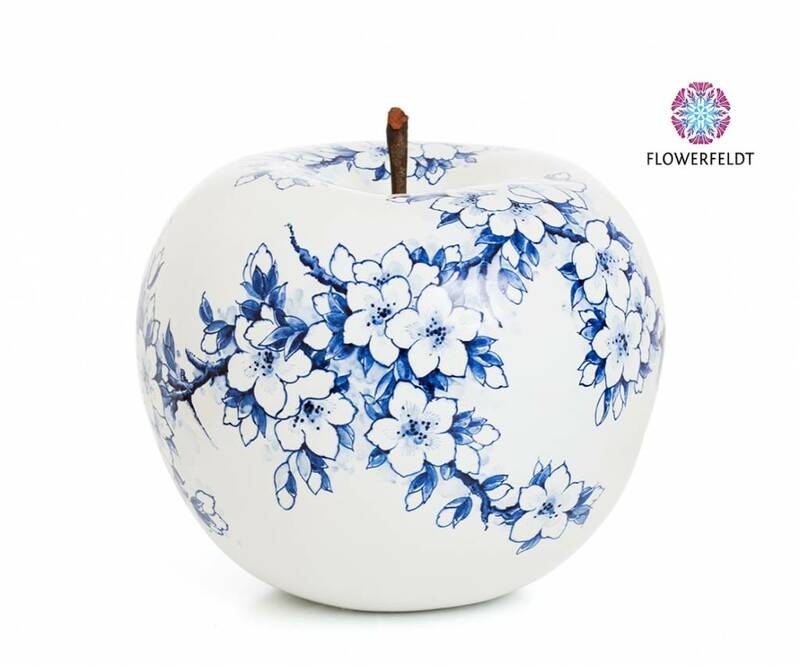 This ceramic apple with blossem pattern likes to steal your show!